At Bella’s, we recognize that men have unique skincare needs so we designed a selection of treatments especially for the modern man. 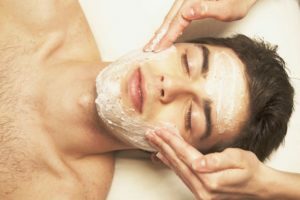 Unlike women’s skin, men’s skin typically produces more oil and can be prone to damage and scarring from shaving so we recommend regular facials to help balance, refine and restore hydration levels and improve general skin health. Benefits of regular skin maintenance include: smoother more supple skin, improved clarity and skin tone, reduced skin redness and reduced oiliness. The team at Bella’s will also create a targeted skincare regime especially for you and your skincare needs so you can confidently extend the benefits of your facial at home, in between treatments. We work with some of the best products on the market, so you can rest assured we are prescribing a product plan that will deliver exceptional results. Regular facials will also improve general wellbeing and aid the mind and body in reducing stress levels, improving quality of sleep and reduced tension. Leave the world behind, relax and unwind in our tranquil space and let our team of dedicated therapists create a treatment especially for your skin’s needs. Our signature men’s skin treatment is designed to guide you into a state of deep relaxation while delivering incredible results. A unique facial experience, this treatment is customised especially for your skin type and needs focusing on deep cleansing, exfoliation and hydration. Let us cleanse, exfoliate and hydrate your skin to perfection as you relax and de-stress for $100.